The Sport Management (SPM) Advisory Board is comprised of a “Who’s Who in Sports.” This esteemed group of sport industry professionals and practitioners provides an inner circle of advisors and supporters for the Department of Sport Management. The board provides input and guidance for short- and long-term goals, student internships, employment opportunities, curriculum development and classroom instruction. It champions the program to prospective supporters, students, business colleagues, and the community. Michael Duda, Co-Founder/Managing Partner of Bullish Inc.
Mark Geddis, President & CEO of Geddis Holdings, Inc.
David Levy, President of Turner Broadcasting System, Inc.
Kathrine Switzer, President of Marathon Woman & AtAlanta Sports Promotions, Inc.
Brandon Steiner is the founder and chairman of Steiner Sports Marketing, the largest company of its kind in America. Its inventory of collectibles includes more than 10,000 items. He’s considered a sports marketing guru who is a regular on ESPN Radio 1050 on Sunday mornings, along with his co-hosting duties on Yankees-Steiner: Memories of the Game, which is featured on the YES Network. Steiner is an expert commentator on all issues involving sports and is regularly featured on national news networks including CNBC, CNN, MSNBC, ESPN and in newspapers such as the New York Times and the Wall Street Journal. He works closely with corporations to align them with athletes to promote their products. He maintains relationships with hundreds of current and former professional athletes. One of his newest concepts is Last Licks Ice Cream Stores which features its own unique brand of ice cream along with public appearances from select athletes. He calls Last Licks “The Sports Bar for Kids,” a place for Little League teams to come after the game, watch sports, eat ice cream and just be kids. The only catch is that you might bump into any star from Magic Johnson to Mia Hamm. Perhaps his biggest home run to date is a partnership with the New York Yankees. In 2004, he announced the launch of an unprecedented partnership, Yankees-Steiner Collectibles, to provide fans with access to Yankees memorabilia and experiences at Yankee Stadium. In short, Steiner has figured out how to bring the fan closer to the game. Steiner has cultivated team partnerships with “America’s Team,” the Dallas Cowboys, the Boston Red Sox and three universities: Alabama, Notre Dame and Syracuse. Steiner Sports also held a two-year partnership with the New York Mets. In 2003, he published his first book, The Business Playbook: Leadership Lessons from the World of Sports. During his book tour he was a guest lecturer at some of the top business schools in the country including The Harvard Business School, The Kellogg School of Business, Columbia and Yale. His second book, “You Gotta Have Balls,” was published in August of 2012 and appears in many of the country’s top colleges’ syllabi. His motivational speaking engagements have put him in front of Fortune 500 companies ranging from hotel chains to real estate companies, and he is often the featured guest speaker at trade conventions. Steiner sits on the board for not only the Sport Management program but also for the entire athletics program at Syracuse University. He helped cultivate Syracuse-Steiner, where Syracuse students play a part in actually running the company. He devotes his time to several charities including Family Services of Westchester, which helps to provide quality social and mental health services to strengthen families, children and individuals. With Steiner’s help, Family Services of Westchester was able to open a home for teenage boys with no place to call home. He sits on the board of Camp Sussex (a camp for underprivileged children). Steiner still enjoys rooting for the Orange during the NCAA Tournament and playing basketball with friends. He resides in Scarsdale, NY, with his wife Mara and two children. David Falk, the founder of FAME, has long been recognized as one of the sports industry’s leading figures and most talented innovators. During a 40 year career, he has represented the top players in NBA history and has negotiated record-breaking contracts for his clients, both on and off the court. His vision and ability to read the changing landscape helped to shape the evolution of the business of sports over the past 30 years. He began his career representing professional athletes with ProServ in 1974, rising to Vice Chairman of the company. He left ProServ in 1992 and established Falk Associates Management Enterprises (FAME) to provide specialized and personal representation services to the company’s elite clientele of NBA superstars. During his career, Falk has represented more NBA first-round draft selections, lottery picks, Rookies-of-the-Year, and All-Stars than anyone else in the athlete management business. Falk negotiated the highest contracts in NBA league history for Patrick Ewing (New York Knicks) in 1985 and Danny Ferry (Cleveland Cavaliers) in 1990. He negotiated professional sports’ first $100 million contract in 1996 for Alonzo Mourning as part of an unprecedented free agency period in which FAME changed the entire salary structure of the NBA, negotiating over $400 million in contracts for its free agent clients in a six-day period. He negotiated Michael Jordan’s one-year $30 million contract in 1996, the highest salary in NBA history for the next 16 years! Falk has also been credited as sports marketing’s leading innovator. In 1985, he negotiated Michael Jordan’s ground-breaking deal with Nike, which is the most successful endorsement relationship in history, and in the process coined the nickname “Air Jordan.” He also negotiated notable shoe endorsement contracts for James Worthy in 1982, Boomer Esiason (who became the first NFL player to endorse the Reebok “Pump”) in 1987, Allen Iverson with Reebok in 1996 and Evan Turner with Li-Ning in 2010. In 1996, Falk crossed over into entertainment as he executive produced the Ivan Reitman/Warner Bros. feature Space Jam, Michael Jordan’s first film, teaming Jordan with the Looney Tunes in an intergalactic basketball showdown. In 2000, he executive produced Michael Jordan to the Max, the critically acclaimed large format feature on the NBA legend. Falk also served as Executive Producer of the Emmy-winning On Hallowed Ground, a documentary on the history of the Rucker Park Basketball League, which received a gold medal at the 2000 New York Film Festival, as well as One Love (2003) and Young Guns (2004). Falk was a founding partner, along with Quincy Jones, in New Urban Entertainment (NUE), a multi-faceted entertainment company that focused on the development, production and marketing of entertainment drawn from the urban experience. In 1998, Falk sold FAME to SFX Entertainment, serving on SFX’s Board of Directors and in the Office of the Chairman. As Chairman of SFX Sports Group, Falk oversaw the acquisition of a dozen sports agencies that enabled SFX to represent approximately 20% of MLB and NBA players. Falk stepped down as Chairman in 2001. In 2007, Falk re-launched FAME as an ultra boutique agency for a small but elite clientele. Falk ranked #2, behind NBA Commissioner David Stern in a Basketball Digest survey of the most influential people in basketball. He has been a perennial selection to The Sporting News’ “100 Most Powerful People in Sports.” In 1999, Advertising Age named Falk to their “Marketing 100” list of the country’s top 100 marketers. USA Today selected Falk as an “Ad/Marketing Powerbroker of 1996”. A 1972 honors graduate of Syracuse University with a B.A. in Economics, the New York native received a J.D. with honors from the National Law Center at George Washington University in 1975. In 2010, a gift from Rhonda S. Falk ’74 and David B. Falk ’72 established the Falk College of Sport and Human Dynamics at Syracuse University. In 2015, a gift from the Falks established the Falk Academy of Management and Entrepreneurship at George Washington University Law School. He is a member of the Board of Trustees for Syracuse University, the Board of Advisors for George Washington University’s National Law Center, as well as the Board of The Congressional Awards; the official charity of Congress. He and his wife, the former Rhonda Frank, live in Rockville, Maryland, and have two daughters, Daina, and Jocelyn. Ronald Bernard has over 35 years experience in the entertainment, sports, and media industries in both senior operating and financial capacities. He is currently a Managing Director at Alvarez & Marsal specializing in the media/sports industries. In addition, since January 2003, he has been President of LWB Consulting, where he has worked with a number of private equity investors in identifying and acquiring media properties. LWB Consulting is a media/sports consulting advisory to private equity firms looking to make investments in the sports/entertainment industry. Bernard previously acted as CEO of Sekani, Inc., a digital media licensing and digital asset management company that he and a number of venture capital firms sold to Corbis, Inc., in 2002. Bernard was also President of NFL Enterprises, the media business division of the National Football League from 1993-2000. He was responsible for NFL Sunday Ticket, NFL Films, NFL International, and new media ventures. Prior to that, he held a number of senior-level positions at Viacom, Inc., including serving as corporate treasurer, chief financial officer of Showtime Networks Entertainment, and president of Viacom Networks Enterprises. Bernard is currently on the Board of Directors of Premier Exhibitions, and formerly served on the Board of Atari, Inc. He is a New York CPA, with an MBA from Columbia University Graduate School of Business. Nick Carparelli joined Under Armour in 2014 as senior director of college sports. Leading the brand’s collegiate sports marketing efforts, Carparelli manages outfitting partnerships with schools and universities including Notre Dame, Auburn, St. John’s, Navy and South Carolina. Working closely with athletes, teams and leagues, Carparelli is responsible for growing the brand, creating demand and driving sales. He creates strategic marketing plans, and leads a cross-functional team which includes product categories, public relations, media, digital/social media, retail marketing, events, creative and all distribution channel partners. As senior director, Carparelli works to protect the established foundation, develop business opportunities and amplify the Brand voice around the world. Prior to joining Under Armour, Carparelli worked as senior associate commissioner for the Big East Conference. While there, he served as the conference’s primary football administrator, overseeing operations, officiating, bowl relationships, television and scheduling. Carparelli also served as the conference’s liaison with IMG Sports, the league’s sponsorship and marketing partner. He served as chair of the NCAA Football Issues Committee, its postseason bowl licensing subcommittee, and as a member of the NCAA Rules Committee. While at the Big East, Carparelli annually worked with the conference football schedule. He led the charge in the creation of the New Era Pinstripe Bowl at Yankee Stadium and in the establishment of both the St. Petersburg and Miami Beach Bowls in Florida. Before joining the Big East, Carparelli served as director of operations for the New England Patriots during their first Super Bowl championship season. Working with head coach Bill Belichick, Carparelli coordinated team travel, directed the club’s summer training camp, managed player personnel and supervised game-day operations. He also coordinated all aspects of the Patriots’ participation in Super Bowl XXXVI. Carparelli served as a football administrator at the University of Notre Dame prior to his time with the Patriots, where he coordinated recruiting efforts, created travel and game-day itineraries and oversaw NCAA football compliance matters. He spent two years as a graduate assistant at Syracuse University. Originally from Cheshire, CT, Carparelli is a 1990 graduate of Worcester Polytechnic University with a bachelor’s degree in mechanical engineering. He obtained his master’s of business administration from Syracuse in 1994. He currently resides in Severna Park, MD, with his wife, Renee, and sons Nicholas III and Michael. A founding member of Alan Taylor Communications, Inc., the leading independent sports public relations agency in the country, Howard Dolgon has spent more than 25 years in the public relations/marketing field. A graduate of Brooklyn (N.Y.) College, Dolgon has created and implemented numerous award-winning programs for a variety of corporations including MasterCard International, General Mills and Diageo. He has handled promotions throughout the United States, Europe, and South America for World Cup Soccer and the Olympic Games. Both he and Alan Taylor were named by the New York Daily News as two of the top 40 influential sport figures in New York. Dolgon is a member of the American Hockey League’s Executive Committee and has promoted NBA preseason games and world-class boxing events in Syracuse. In addition, he was honored by the AHL in 2010 as the recipient of the James C. Hendy Memorial Award as the league’s outstanding executive. He was the driving force behind the Mirabito Outdoor Classic, the first outdoor game in AHL history, which was hosted by the Crunch at the New York State Fairgrounds on February 20, 2010, and set an AHL single-game attendance record of 21,508. In 2014, he won the Thomas Ebright Award for outstanding career contributions to the American Hockey League. He was also honored with the 2014 Crystal Ball Award by the Central New York Sales and Marketing Executives. He is also a visiting professor at the S.I. Newhouse School of Public Communications of Syracuse University. Dolgon has homes in East Meadow, NY and Boca Raton, FL. He and his wife, Joy, have five children, Mike, Garrett, Connor, Brittany and Alec. Kelly Williams Downing is a sports marketing veteran with more than 18 years experience working with sports teams, international sporting events, agencies, and consumer brands. In September 2015, Downing joined Boston-based start-up state6, a sports and consumer marketing agency, bringing marketing, digital, and social media strategy to life for the agency and its clients. Downing began her career in sports marketing upon graduating from Syracuse University, where she earned her Bachelor of Science in Broadcast Journalism (1998) and Master of Science in Public Relations (1999) from the S.I. Newhouse School of Public Communications. She began her career in marketing with the New England Patriots and New England Revolution, both owned by Robert Kraft. She quickly excelled and expanded her duties to include managing broadcasting, events, production, and entertainment. From 1999-2002, Downing served on a committee focused on marketing, sales, and PR for the Kraft family’s privately financed stadium, creating the blueprint that led to the stadium being sold out of all ticket, premium seating and sponsorship inventory on opening day. Downing also assisted in the marketing and promotion of MLS Cup 2002, which earned Major League Soccer a history making 62,000 fans for the league’s championship match held at the then CMGI Field (later renamed Gillette Stadium). During her time with the Kraft Sports Group, Downing managed the Patriots’ preseason TV Network; increasing rights fee revenue 300 percent in four years. In 2001, she helped to launch Patriots.com Radio, which featured 12 hours daily of unique Patriots programming streamed live via the team’s website. Downing co-hosted a radio program for the Patriots and also hosted a series of video updates on the new stadium construction progress. In 2002, Downing earned an NFL World Championship ring when the Patriots won Super Bowl XXXVI. After leaving the Kraft organization, Downing worked as a marketing, sponsorship and operations consultant to FIFA for the 2003 Women’s World Cup (Foxboro, MA, and Portland, OR) and with CONCACAF for the 2005 Gold Cup (Foxboro, MA). Downing’s entre into the agency world began with Cone Communications in 2005, where she worked on marketing and PR initiatives for Starbucks, Yoplait, Green Giant and Jiffy Lube. She managed and produced events, media and mobile tours, and her work garnered national and local media impressions. In 2013, Downing took her talents to Elevate Communications, where as a vice president, she helped to establish a digital and social media practice for the agency. She worked with clients including the Boston Red Sox, Fenway Sports Management, Liverpool FC, and the New England Revolution (MLS), while also overseeing the agency’s business operations, marketing, and business development. 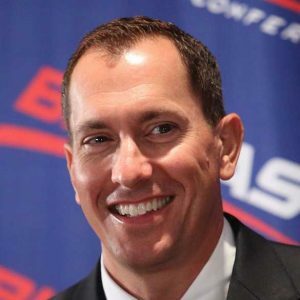 At Syracuse University, Downing was a cheerleader for the football and basketball teams, attending four bowl games (Gator, Liberty, Fiesta and Orange Bowls), four Big East Tournaments and four NCAA Tournaments, including SU’s appearance in the men’s championship game in 1996. Downing also spent time as a reporter for a campus news radio station, interning with local TV stations, and volunteering for local charities. Downing lives outside of Boston with her husband, a former professional soccer player who is now the strength and conditioning coach for the New England Revolution (MLS), and their two daughters, ages 4 and 6. Michael Duda is the co-founder and managing partner of Bullish Inc., a marketing ​and consumer investment-driven investment company. 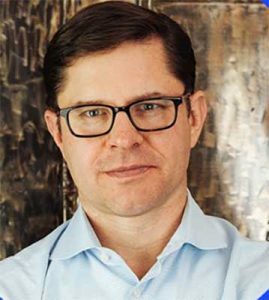 Duda has spent 25 years in the world of Madison Avenue, including 13 at Deutsch Inc. as partner and chief corporate strategy officer. ​Bullish develops marketing strategies for established firms such as Anheuser-Busch InBev, PepsiCo, GNC, GoDaddy and Under Armour and advises its investments, which include Casper, Harry’s, Peloton, Birchbox and Warby Parker. Duda is a graduate of St. John Fisher College and is on the Board of Directors of the 119-year old Advertising Club of New York City and Spark Motion. When not spending time with his wife and three sons in Connecticut, he can be found arguing with referees at a sporting event. Fallick serves as Managing Director of Broadcast for the United States Tennis Association (USTA). She previously acted as Senior Director of Broadcast Operations for USTA, where she oversaw the USTA’s broadcast department and worked with US Open broadcast partner ESPN and the International Broadcast rights-holders. Prior to the USTA, Fallick was a member of the original team of employees to be part of MLB Network’s record-setting launch on January 1, 2009 in 50 million homes throughout the country. In her role since then, Fallick oversaw the daily integration of MLB Network programming, promotions and commercial content while managing the operational policies and procedures for MLB Network’s and NHL Network’s game, live event, breaking news and special events programming. Prior to joining MLB Network, Fallick spent 15 years at the National Hockey League, first working in the league’s Broadcasting Operations department, followed by executive roles with NHL Images and NHL Productions before serving as the NHL’s group vice president of Media Operations and Planning, where she lead technical and operational executions for the launch of the NHL Network in 2007. Fallick began her career as a page at NBC, where she went on to spend 10 years working in productions and operations at NBC Sports. She graduated from Syracuse University in 1978 with a bachelor of science degree in television & radio from the Newhouse School of Public Communications and a bachelor of arts degree in American history. Fallick lives in Lake Success, New York, with her husband David, a 1979 Syracuse alumnus, and has three children, Perry (Syracuse ’07), Ashley and Scott. Shawn Garrity has never been far from sports. A graduate of Syracuse University with a degree in Communications, Garrity was a scholarship athlete who excelled as an offensive lineman and received the Maxwell Award for Outstanding Student Athlete Citizen in 1986. After departing Syracuse, he took to a different field – the marketing, branding and promotions business – where his leadership has had enduring success for more than two decades. In 2013, he founded Circle TPR, a national entertainment production company in Las Vegas, Nevada, where he currently serves as the chief executive officer. His career has included the founding of a Las Vegas-based company called Performance Plus. After Performance Plus was sold to Heritage Communications, Garrity served as a division president for their western offices for eight years. Garrity left Heritage to become a partner at Lincoln Studios, which saw success leading the formation of the third largest marketing and communications agency MC2. Garrity has served as a board member on several non-profits over the years and currently serves as an advisory board member for the Department of Sport Management in the David B. Falk College of Sport and Human Dynamics at Syracuse University. Prior to launching Geddis Holdings, Inc., Geddis founded Collegiate Images, LLC, in July 2002, which was later acquired by IMG Worldwide and XOS Technologies, Inc. Collegiate Images serves as the centralized licensing and rights clearance agency that manages the distribution of copyrighted intellectual property content, focusing exclusively on college sports. CI partners with copyright holders to define, claim, protect and manage their intellectual property, allowing each copyright holder to control and monetize those rights in the ever-changing digital landscape. Partners include premier athletic programs, collegiate conferences, bowl games, national and regional sports networks and a multitude of other rights’ holders. Prior to Collegiate Images, Geddis co-founded Convizion, Inc., a digital content management company, in 2000. He served as chief marketing and business development director for several H. Wayne Huizenga Holdings companies between 1999-2000. For more than seven years (1992-99), Geddis served in numerous roles with the Florida Marlins Baseball Club. He was the head of communications during the team’s first World Championship in 1997, overseeing the club’s marketing communications, broadcast operations and the coordination of broadcast matters with Major League Baseball. In addition to promotions, he worked with community relations, non-baseball related activities, technology and special projects. 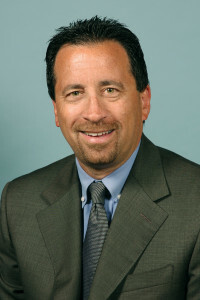 Geddis joined the Marlins in August of 1992 as the club’s publications coordinator and media relations assistant prior to his promotion to assistant director of media relations on September 5, 1993. Geddis was responsible for designing and producing publications during the Marlins’ inaugural season in 1993. Geddis, a native of Liverpool, NY, served as the media relations director for the Syracuse Chiefs Baseball Club in 1992 and as Sports Information graduate assistant at Syracuse University (1990-92) before joining the Marlins. Prior to his stint in Syracuse, Geddis worked in media relations for the U.S. Olympic Committee in Colorado Springs (1990) and at Old Dominion University in Norfolk, VA (1986-89). He also served as an operations assistant for the Tampa Bay Buccaneers in 1991. His event management experience includes working Super Bowl XXIX and Super Bowl XXXIII, in addition to serving as a media coordinator for the 1990 U.S. Olympic Festival, the 1992 NCAA East Regional Basketball Tournament, the 1993 National League Championship Series, and four MLB All-Star Games. Geddis received his B.S. degree in Sports Management from Old Dominion University and Master’s in Media Administration from The Newhouse School at Syracuse University. Geddis and his wife Vicki, daughters Kasey and Kyra and son Colby reside in Weston, FL. 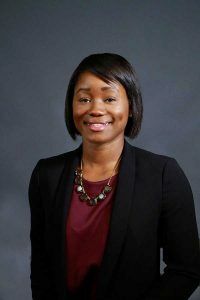 Charma Harris, a 2013 graduate of Syracuse University’s Sport Management program, is a Talent Acquisition Coordinator at CNA, a non-profit research and analysis organization based in Arlington, Virginia. Prior to CNA, Harris worked for five years at the PGA Tour as a Tournament Services Coordinator and Manager at the WGC-Cadillac Championship in Miami, Florida. While at SU, Harris was a member of the track and field team and served as Vice President of Programming and Events for the Women in Sports and Events (WISE) Club. She co-chaired WISE’s inaugural symposium, which highlighted the stories, successes, and unique challenges that women face in the sports industry. Harris received Sport Management’s Philanthropic Award in 2013. Harris has interned at various organizations, including Aerospace Company; Orbital ATK; the Baltimore Grand Prix (IndyCar); and USA Track & Field. It was through her internship experience that she found her passion for event management. She completed her Senior Capstone with the PGA Tour at the World Golf Championships-Cadillac Championship in Miami, Florida. Upon graduating in 2013, Harris accepted a position at the WGC-Cadillac Championship as a Tournament Services Coordinator. She was responsible for managing the tournament’s volunteer program, onsite social media and digital platforms, as well as the tournament’s internship program. In 2016, she was promoted to Tournament Services Manager at the Constellation Senior Players Championship, where she oversaw client services. Additionally, she was responsible for coordinating on-site hospitality and logistics for PGA Tour Champions Players and managing the execution of tournament sponsorships. In 2018, Harris accepted a position in Human Resources and Talent Acquisition at CNA. As Vice President, Integrated Marketing Communications at Allstate, Hollander leads the corporation’s Sponsorship Marketing, Promotions, Consumer Public Relations and Social Media. She also leads the development and execution of integrated marketing plans that build Allstate brand consideration and purchase intent for Allstate’s Business-to-Business lines (Allstate Benefits, Allstate Business insurance, Allstate Dealer Services, Allstate Roadside Services and Encompass), as well as Allstate Motorcycle and Power Sports lines. Allstate’s strategic sponsorship marketing opportunities include Soccer (MLS, USMNT and MNT), the Allstate Sugar Bowl and College Football Playoff partnership, deals with 80 colleges/universities through the Allstate “Good Hands®” Field Goal Net program, as well as the NCAA Corporate Partner relationship. In her role, Hollander is responsible for all strategic planning, activation and advertising. She’s most known for creating programs that allow consumers to engage with brands in unique ways. She is on the board of the Chicago National Sports Marketing Network and has been involved with Menttium as a mentor since 2003. She sits on the Sport Management Advisory Board at Syracuse University’s David B. Falk College of Sport and Human Dynamics. She joined Allstate in July 2000 and has been in the marketing communications and public relations industry for 25 years. Cliff Kaplan is chairman of Equity Sports Partners (ESP), a boutique sports marketing and media company, based in New York City, and launched in 2013. Previous to founding ESP, Kaplan served for many years as president and CEO of Van Wagner Sports and Entertainment, a leading sports marketing company and a division of Van Wagner Communications. Kaplan has been an industry leader for more than 25 years, holding senior-level management positions across leagues, networks, and sports marketing companies. For the better part of the past 20 years, he has helped launch, grow, and sell several sports marketing businesses and developed a reputation for successfully launching/building/expanding business by driving revenues and creating increased asset value. In launching ESP, Kaplan’s focus is to evolve the traditional business model employed by sports marketing agencies which focuses largely on representation. Clients and business partners of ESP include WWE Network, IMG Media, Tough Mudder, Anthem Media, the World Series of Fighting and several international sports media organizations. Prior to launching ESP, Kaplan served as president and CEO of Van Wagner Sports and Entertainment, which he joined in December 2005 when the company that he previously founded, Premiere Sports & Entertainment (PSE), was acquired by VWSE. At VWSE, Kaplan oversaw all aspects of the business, including the development of the business vision, full operational responsibility as well as oversight of investments and acquisitions. He expanded the business from what was initially an organization focused largely on the sale of television visible signage at major sports venues to what is today a diversified sports marketing and media company that now complements its roots in television visible signage with businesses focused on corporate consulting, sponsorship sales, media rights management, content production, and team and venue services. PSE, a boutique sports marketing and television consultancy, harnessed Kaplan’s sports marketing and media experience working for and on behalf of leagues, networks, teams, and venues by creating an organization that was focused on providing sponsorship/media sales, media rights negotiations and corporate consulting services to those groups. In the span of four years, PSE had assembled a blue-chip roster of top sports property clients, accumulating a strong track record of success in delivering results and growing the businesses of its various clients. After initially breaking into the industry as a sales executive at Madison Square Garden, Kaplan went on to hold senior executive positions at The Baseball Network, SFX Sports and the NBA. 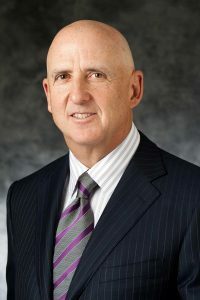 While at the NBA, Kaplan served as senior vice president, where he oversaw the sponsorship sales efforts for the NBA, WNBA, NBDL, and USA Basketball. Additionally, he was responsible for overseeing the advertising sales and management of the NBA’s television assets, serving as the key liaison for the league with its domestic television partners. Kaplan, a graduate of Syracuse University’s S.I. Newhouse School of Communications, sits on the Advisory Board for the University’s sport management department. He is married with three children and resides in West Harrison, NY, in Westchester County. David Kleinhandler is president and founder of New Venture Financial Wellness and has been an entrepreneur for over 29 years. He is also the founder and CEO of Blackridge Capital, which was founded as a solution to help people think through complex tax and wealth transfer strategies. Kleinhandler’s other projects include Dynasty Financial Partners and Foundations, including a partnership with Carmelo Anthony, titled Courts for Kids, The Martin Luther King Foundation and David Kleinhandler’s Life Skills, a financial literacy initiative for Syracuse University students. He is also one of the owners of the Happoel Jerusalem basketball club with Amare Stoudamire and others. Kleinhandler currently sits on the board of UJA of New York. A graduate of Syracuse University, Kleinhandler began his career on Wall Street and then moved to Equitable Insurance, where he was recognized as an esteemed leader and top producer. From there, he went on to run a successful and prominent agency for AIG. In 1997, Kleinhandler launched his first venture, Quotemaster USA, with a mission to provide quality life insurance solutions to select professionals nationwide. Born and raised in the Bronx, Kleinhandler has risen to become one of the country’s preeminent names in life insurance planning and wealth preservation. Whether in his office or giving back to his community, he is passionate about making a difference. He resides in Rye Brook, NY, with his wife and three daughters. With more than 20 years of professional sports and entertainment experience, Chris Lencheski has authored industry-setting standards and practice guidelines followed by major entities from network and cable television groups to Fortune 500 companies. Lencheski was appointed to his current role at MP & Silva from having been a Senior Advisor to the Board and Management of MP & Silva since 2015. Most recently, Lencheski served as Vice Chairman and CEO of IRG Sports + Entertainment – A TPG Specialty Lending Company, encompassing more than 1,150 motorsports, live entertainment and corporate events annually at their venues and within their global racing series. Lencheski was retained to author and execute the corporate renewal of IRG Sports + Entertainment and under his leadership, IRG Sports + Entertainment expanded into Australia. Lencheski orchestrated the return of IRG motorsports sanctioning bodies after a 19-year absence to global television and the development of a digital platform with the ESPN family of networks. Prior to IRGSE, Lencheski was President of Comcast-Spectators’ subsidiary Front Row Marketing and Analytics (FRMS), the commercial rights, sponsorship and analytics firm inside the greater Comcast ecosystem of stadiums, arenas, teams and properties. FRMS was acquired by Learfield Sports in 2015. While at FRMS, his work included collaborations with the Americas’ Cup, English Premier League, the Olympics, Formula One and World Cup projects, as well as a host of international and national properties from every major league to governing bodies. Lencheski was a multiple team owner in the NASCAR Sprint and Nationwide Series, as well as owner of International Hockey League franchise the Quad City Mallards, an affiliate of the NHL’s Philadelphia Flyers. 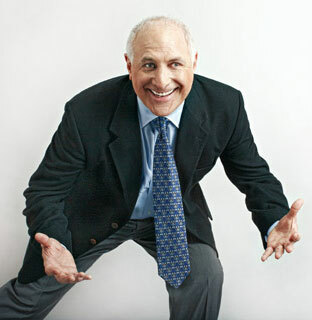 Lencheski is a graduate of Syracuse University and Harvard Business School. He serves as an adjunct professor at Columbia University and is a member of the Board of Directors of Winning Streak, a WAFRA Partners Company in the global and major league sports and entertainment licensing and hard goods industry. David Levy is president of Turner Broadcasting System, Inc. (TBS, Inc.), a position he was elevated to in the summer of 2013. He oversees Turner’s domestic entertainment, kids and young adults networks and business portfolios as well as leads the company’s advertising sales, affiliate sales and sports units. He oversees all creative and business activity of the Turner signature entertainment networks TBS, TNT, Turner Classic Movies, truTV, Cartoon Network, Boomerang and Adult Swim, and its digital brand extensions, as well as Turner Sports. Additionally, Levy is responsible for overseeing domestic revenue for Turner’s portfolio of networks including TNT, TBS, CNN, HLN, TCM, Cartoon Network, Adult Swim, Boomerang, truTV and CNN Airport Network. Under Levy’s leadership, the Turner ad sales division has consistently been recognized as the leading television and digital sales organization. Turner has become an industry leader in creating affiliate value by leveraging Turner’s portfolio of entertainment, kids, news, sports and young adults programming and networks. Levy and Turner Network Sales, the company’s affiliate sales division, continue to drive the company’s industry leading efforts for TV Everywhere (TVE). The company’s TVE offerings are now available in more than 80 million households. Since assuming executive leadership for Turner Sports in 2003, Levy has been instrumental in deepening and expanding Turner’s media rights and defining the division by its association with premium sports content, brands and events. Levy has negotiated a number of agreements, each representing a significant change that extended beyond traditional television rights. Turner Sports’ portfolio consists of premium sports content year-round featuring partnerships with the NBA, NCAA, Major League Baseball, PGA and NASCAR. In 2012, Levy reached a long-term multimedia rights agreement with Major League Baseball, the most expansive in the company’s history with the league, and led Turner’s efforts in the acquisition of Bleacher Report, a leading digital and mobile multi-sport destination. Levy was instrumental in orchestrating a landmark media rights deal in 2010, partnering with CBS, for the rights to the NCAA Division I Men’s Basketball Championship through 2024. The 14-year, $10.8 billion deal is the most extensive and far-reaching partnership ever created by two media companies. The deal includes a comprehensive set of rights for the tournament, ranging from television, digital and mobile to marketing and corporate sponsorship rights. In 2009, Levy extended broadcast rights to the PGA Championship and PGA Grand Slam of Golf through 2019. The agreement with the PGA of America expanded to include licensing, with Turner’s Cartoon Network Enterprises (CNE) serving as the PGA’s licensing agent in the youth marketplace. Levy led the company’s efforts in 2008 by developing an expansion of the longest-running league/network programming partnership in professional sports, with Turner assuming joint management of an array of the NBA’s digital businesses including NBA-TV, NBA.com, WNBA.com, NBADLeague.com and NBA League Pass. Prior to assuming his current role, Levy served as president of Turner Broadcasting Ad Sales, Distribution and Turner Sports. Previously, he served as co-president of Turner Broadcasting System International since September 2000 where he oversaw TBS, Inc.’s cable network business activities in Asia, Europe and Latin America, including sales and marketing and distribution; programming and interactive business development; and joint partnerships and business alliances outside the United States. Levy began his career at Turner Broadcasting in 1986 as an account executive in the entertainment division. He later played an integral role in developing and overseeing the Turner Sports ad sales division and was named senior vice president for international ad sales in 1994, and executive vice president in 1997. In 1998, Levy became Turner’s first president of International Advertising Sales. Levy is a graduate of Syracuse University. He resides in Westchester, New York, with his wife, Niki, and their two sons, Brett and Jake. Sandy Montag, a 30-year industry veteran, is president and CEO of The Montag Group, a talent management, consulting, content development, and media strategy company focused in the world of sports, entertainment, and lifestyle. Montag represents a variety of clients in various fields including broadcasting, coaching, culinary, and team sports. Included among them are John Madden, Bob Costas, Mary Carillo, James Brown, Jim Nantz, Erin Andrews, Mike Tirico, Ming Tsai, Jay Bilas, Scott Van Pelt, Jeremy Schaap, and Tom Coughlin. Montag spent 30 years at IMG, joining the company in 1985. He started as an assistant to John Madden, traveling the country with Madden by train and on the first “Madden Cruiser.” He went on to run IMG’s Clients Operations for 10 years. Montag developed and launched Ari Fleischer Sports Communications with Ari Fleischer, former press secretary to President George W. Bush after Fleischer left with White House in 2003. Montag is active in several charities, serving on the advisory boards for Madden Charities, Tom Coughlin’s “Jay Fund Foundation,” Team LeGrand, and the Alan T. Brown Foundation. He serves on advisory boards for the University of Michigan, New York University and the Barclay’s Center in Brooklyn. The Montag Group is based in White Plains and New York City. Laurie Orlando joined CBS News as senior vice president for talent strategy in January 2016. In this newly created position, Orlando oversees recruiting and development of and long term planning for on-air talent for all CBS News shows, including “CBS This Morning,” “CBS Evening News,” “48 Hours,” “CBS Sunday Morning,” “Face the Nation” and “60 Minutes”. She works closely with the digital and interactive groups who produce CBSN, the company’s 24-hour news service, as well as with the owned and operated affiliates throughout the country. Prior to joining CBS News, Orlando was senior vice president for talent development and planning at ESPN since 2008. She was responsible for ESPN’s Talent Office and relationships with the on-air personalities who represent the ESPN brand across all multimedia platforms. It was the second ESPN stint for Orlando, who worked for ESPN Classic as a coordinating producer in 1999. In her earlier role, she oversaw the development, supervision and execution of all original, documentary and long-form programming. Prior to that, Orlando served as the senior vice president and executive producer for MSG and Fox Sports New York (Sept. 2006-Dec. 2007), and spent nearly five years (Nov. 2002- Aug. 2006) at College Sports Television (CSTV, now CBS Sports Network) as vice president of programming, original programming and development and vice president of remote and feature production. Orlando has held significant production and programming roles at multiple networks during her career, and has developed a reputation throughout the industry as a creative executive who thrives on the challenge of building networks from their inception, having played an integral role in start-up teams that launched five networks — The Comedy Channel (1989), Classic Sports Network (1994), Oxygen Media (1999), CSTV (2003), and The Mtn (2006), all of which remain on the air in some form. Orlando has exhibited a passion for sports throughout her professional career, beginning with her early experience as a freelance producer for Showtime’s Championship Boxing coverage (Jan. 1991-July 1996). She joined Classic Sports Network in 1996 as a coordinating producer responsible for development and execution of the network’s boxing programming and original programming, and she also supervised original studio production for all sports genres. Following ESPN Classic, Orlando was named the supervising producer for Oxygen Sports, where she was responsible for the twice-weekly one-hour original women’s sports program, as well as a series of 13 sports biographies and the network’s first season of WNBA games. She also directed production of programming on a global basis. A native of Scotia, N.Y., Orlando graduated from Syracuse University with a Bachelor of Science degree in International Relations, with minors in Russian Studies and Foreign Policy, as well as a Bachelor of Arts in Television and Film Writing from the Newhouse School of Public Communications. She began her career in television in 1980, serving as a news intern with WRGB-TV in Albany. In 1986, she interned on “Late Night With David Letterman” before moving into positions with Showtime and HBO’s Comedy Channel. Orlando is an alumni advisor for students at Newhouse; a member of the Advisory Board for Own the Room, an Improv & Presentation Training Company; and is a member of Women in Cable Television (WICT); and Women in Sports and Events (WISE). Orlando lives in Fairfield, Conn., with her husband Stu and son Leo. They love to spend their time with friends and family, traveling, and at the beach. Michael Patent is an entertainment and brand marketing executive with a 15-year history of developing creative brand partnerships and innovative brand strategies in the U.S. and Asia. He is the founder and managing director of Culture Group, a pan-Asian entertainment marketing agency founded in 2016 with partner Doug Scott. With offices in Shanghai, Manila and New York, the agency represents and advises a variety of leading brands and entertainment properties across Asia. Clients include Singtel Group’s Globe Telecom, for whom they serve as agency of record, as well as ESPN, Tencent and Riot Games. Prior to founding Culture Group, Patent served as senior vice president with AEG Global Partnerships in Shanghai from 2013-2015, where he led the overall development and servicing of brand partnerships for AEG assets and events in Asia. During this time, he paired Honda with Bruno Mars, Toyota with Justin Bieber, Hennessy VSOP with Adam Lambert; and Infiniti, American Express, Budweiser and Blackberry with Cirque du Soleil, among others. While at AEG Asia, he worked alongside AEG Facilities and AEG Real Estate in advising real estate developers and provincial government entities in the development of live entertainment and mixed-use real estate developments in Dalian, Shenzhen, Beijing and Shanghai. Prior to AEG Asia, Patent was vice president at AEG Global Partnerships in New York from 2011-2013 and served as an executive with Van Wagner Sports and Entertainment and Nelligan Sports Marketing. His first job in the sports industry was with Syracuse University Athletics and later with Syracuse ISP Sports (now known as IMG College). A New York native, Patent speaks Mandarin Chinese with intermediate fluency. He is a former co-chairperson, UJA Federation of New York’s Young Entertainment and Media Committee, and former board observer of UJA’s Sports for Youth Committee. He currently splits his time between Shanghai, Manila and Singapore. Jeffrey Rubin is the founder and CEO of Sidearm Sports, a company he founded in 2001. In addition, he works as an Associate Professor of Practice at Syracuse University’s iSchool. He’s passionate about sports, technology and educating and mentoring our future leaders. Sidearm’s staff is comprised of nearly eighty designers, developers, project managers, and customer support members, many of whom worked in college athletics before coming to Sidearm, where they strive to use the latest advancements in web-based technology. Sidearm Sports works with over 900 college athletic programs across the United States and Canada, including Syracuse, Alabama, Wisconsin, UCLA, Texas, Illinois, and more. Sidearm develops websites, however, R&D efforts focus on Statistics, Social Media, Video Delivery, and Mobile consumption. In July 2014, Learfield acquired Sidearm Sports. Learfield is the Mulitmedia Rights Holder (MMRA) for over 100 of the top collegiate athletic programs in the U.S. Since the acquisition, Rubin remains CEO of Sidearm Sports and all employees remain in Syracuse. Rubin currently teaches over 200 students a semester in the SU class IST 195, which gives students a general overview of the information age and many different career paths students may pursue. He also teaches a course within the Global Enterprise Technology curriculum and helps shape the web design curriculum at the iSchool, where he has taught numerous courses over the years. Rubin serves on Syracuse University Athletics Director John Wildhack’s external affairs committee, is active with the Jim & Juli Boeheim foundation, and has served on other boards in Central New York. He has been married to his wife, Jennifer, for 12 years, and has two sons. Ben C. Sutton Jr. is founder and chairman of Teall Investments, a private equity company with a portfolio of businesses including Fluent (national next-gen marketing agency), Tailgate Guys (national market-leading hospitality company), Sunshine Energy Beverage, Team Retail Solutions (sports/entertainment merchandising company), Winston-Salem DASH Minor League Baseball team, and the Alpha Omega winery, as well as ventures in farming, technology and real estate. Sutton, a graduate of Wake Forest University and Wake Forest law school, was previously chairman/president of IMG College, which he founded as ISP Sports in 1992 and which essentially “invented” the college media business as known today. IMG is the largest college sports sponsorship and media company in America, and the top sports sales organization in America (Sports Business Journal). In addition to founding and building the core businesses of IMG College into national market-leading companies, he was largely responsible for the overall growth of IMG Worldwide, engineering the sale of the company in 2014 for $2.4 billion. IMG is the national market leader in media, licensing, ticketing and stadium seating, working with over 225 universities and conferences, the NCAA and the College Football Playoffs. In addition to being named one of the most powerful sports executives in America, Sutton has received numerous awards, including the North Carolina Order of the Long Leaf Pine, Wake Forest Distinguished Alumni Award and induction into the North Carolina Sports, National Football Foundation and NACMA Halls of Fame. He is a trustee at Wake Forest, as well as for the USOC, Ronald Reagan Presidential, and National Football and Naismith Basketball foundations. The Sutton Family Foundation has invested more than $40 million in philanthropic causes. Marathon Woman & AtAlanta Sports Promotions, Inc.
Kathrine Switzer is one of running’s most iconic figures: her gender-barrier breaking run in the 1967 Boston Marathon launched the women’s running revolution and she recently ran this marathon again 50 years later. The SU grad is an Emmy-award winning TV commentator, author, speaker and founder of “261 Fearless,” a global non-profit to empower women through running. Switzer was inducted into the U.S.A. National Women’s Hall of Fame. Her work in the sport has become a force for positive global social change, and because of her, millions of women are now empowered by the act of running. Her work began accidentally in 1967 when she was the first woman to enter the Boston Marathon when it was considered a men’s-only race. Her entry revolutionized the sports world when she was physically attacked by the race director for wearing official numbers in the race. The photo of this incident flashed around the globe and became one of Time-Life’s “100 Photos that Changed the World.” Switzer finished that race but was radicalized by the incident. She campaigned to make women official in the Boston Marathon in 1972 and later that year was one of the creators of the first women’s road race. Switzer went on run more than 40 marathons, and won the New York City Marathon in 1974. She ran her personal best in 1975, finishing second in Boston (2:51:33). She then put her energies into creating the Avon International Running Circuit of women’s-only races in 27 countries with more than 1 million participating from 1978 to today. It was this series of events, which showed global participation and performances, that largely convinced the IOC to include a women’s marathon in the 1984 Olympic Games. Switzer is an Emmy award-winning TV commentator and has covered the Olympic Games, World and National Championships as well as the New York City, Chicago, Los Angeles and every televised edition of the Boston Marathon. She is a public speaker, journalist and author of three books, including her memoir, Marathon Woman. Her other books include 26.2 Marathon Stories, co-authored with her husband, Roger Robinson, and Running and Walking for Women Over 40. Switzer continues creating opportunities for women around the world through “261 Fearless,” a movement to empower women through running that includes the 261 Women’s Marathon in Mallorca, Spain, a line of 261 Fearless running clothes with Skirt Sports, Inc., and a global series of 261 Fearless running clubs and training. For more information, please visit www.marathonwoman.com. Mike Tirico joined NBC Sports in July 2016 after a storied career at ESPN. He will serve as the primetime host of NBC’s Olympics coverage. He also is the play-by-play announcer for “Thursday Night Football”, and hosts NBC’s “Football Night in America,” Triple Crown horse racing and golf coverage on NBC and Golf Channel. Tirico spent 25 years handling a variety of assignments for ESPN, ESPN Radio and ABC Sports, establishing himself as one of the most recognizable faces and steady voices across multimedia platforms and in the industry at large. In 2006, he assumed one of the top positions in sports television as ESPN’s “Monday Night Football” play-by-play commentator. Tirico’s other major roles included NBA, college basketball and golf play-by-play/host and studio host for major events. Tirico previously hosted The Mike Tirico Show on ESPN Radio, a nationally-syndicated sports news and discussion program, which launched September 20, 2007 (from the studios of WAER-AM, the same Central New York public radio station at Syracuse University where Tirico began his broadcasting career). In May 2008, the two-hour weekday afternoon program was re-launched as the “Tirico & Van Pelt Show” with SportsCenter anchor Scott Van Pelt named the co-host. Tirico stepped away from the show in July 2009. Tirico has always been one of the industry’s most versatile sportscasters, covering play-by-play duties for ESPN NFL games, Thursday and Saturday college football games, college basketball, NBA games for both networks (including hosting NBA broadcasts on ABC), and golf coverage on both ESPN and ABC. He has covered his share of big-time events: anchoring “SportsCenter” coverage from the 2009 NCAA Final Four, co-hosting Super Bowl XL pre-game and post-game shows; NBA Finals coverage for ABC Sports and ESPN Radio; the Fedex Orange Bowl; and The Open Championship. He received critical acclaim for eloquently capturing the tone and emotion both when the New Orleans Saints triumphantly returned to the Louisiana Superdome after Hurricane Katrina in 2006, and when Virginia Tech hosted its first college football game in August 2007 in the aftermath of the on-campus shootings that spring. Tirico was an original ESPN Radio host when the network debuted in 1992 and anchored The NFL on ESPN Radio (1993-96), a New York Festival Gold World Medal winner in 1995. Prior to joining ESPN, Tirico worked in Syracuse (1987-1991) as sports director at CBS affiliate WTVH-TV and play-by-play voice for Syracuse University basketball, football, lacrosse and volleyball for the Super Sports Network of Cook CableVision. Tirico was named the 2010 Sportscaster of the Year by the National Sportscasters and Sportswriters Association (NSSA), an award voted on by his industry peers. He has also been nominated for a Sports Emmy in the Outstanding Personality Play-by-Play category, and he received the 2011 Harrah’s Sports Broadcaster of the Year Award from the Maxwell Football Club. In 1989, Tirico was named top local sportscaster by the Syracuse Herald Journal, and received an Associated Press New York Broadcasters award for “48 Hours with Syracuse University Football,” a 30-minute documentary on the team’s preparation for a game. In 1987, he was the first recipient of the Bob Costas Scholarship, given to an exceptional broadcast journalism student at Syracuse. Tirico remains active in alumni activities at Syracuse. 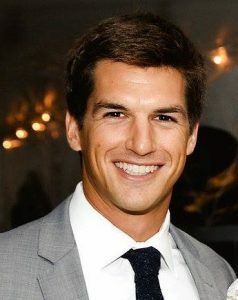 Tiffer Valente, a 2012 graduate of Syracuse University’s Falk College with a bachelor’s degree in Sport Management, joined the SPM Advisory Board in Summer 2018. Valente began working at IMG College in October 2013 and served in various sales and marketing roles until July 2018. IMG College, a division of IMG, is a leading sports marketing company, offering national, regional and local multi-platform marketing opportunities that harness the power of college sports for fans and brands. Valente served as a manager in the partnership marketing group for the national sales and marketing team, where he oversaw all facets of more than 70 multi-media rights property sponsorship deals with UPS and Allstate. Partnership elements included experiential opportunities, tickets and hospitality, digital and social media promotions, venue signage, on-site activations, and audio, among others. He also worked as a sales strategist with IMG College, reporting to the executive vice president and head of IMG College’s national sales team. In this role, he was responsible for financial forecasting, analyses of sales performance and account management operations for all national sales partnerships. Valente began his career at IMG College as an administrative assistant on various sales-focused support roles. Prior to IMG College, he worked for Red Flag Rescue, consulting on event and safety operations for Tough Mudder. He also has worked as an ocean rescue lifeguard on Saltaire, Fire Island, since 2006. While at SU, Valente graduated with honors, and received the Sport Management Director’s Award in recognition of his academic excellence and leadership during his undergraduate years. Tiffer is originally from Woodstown, NJ, and currently splits time between Long Beach, NY, and Saltaire, Fire Island, NY. Michael Wohl’s activities as president of Pinnacle Housing Group are enhanced by his familiarity with real estate and law. Wohl had been active in real estate development and management while continuing to practice law until 1990 when he formed MAHB Companies, a full service real estate firm. Prior to the formation of MAHB, Wohl was managing partner for the Miami office of Herzfeld and Rubin, a multi-state law firm comprised of more than 200 lawyers operating in six cities, including Miami. Wohl has extensive experience in negotiating, documenting and closing acquisitions and sales of residential, industrial and commercial office space. He and his family have participated in the development, construction and management of over 2,000 residential units in the New York metropolitan area and in Miami, where he has lived since 1975. He is well versed in project financing and leasing; he has owned and managed over 1 million square feet of commercial property and 700 apartment units in Florida. Wohl is a licensed real estate broker and mortgage broker. Today, Wohl focuses on Pinnacle Housing Group and the development of quality, affordable housing in South Florida. He heads Pinnacle’s acquisition and disposition efforts throughout the state and was recently named the chairman of the Urban Land Institutes Terwillinger Center for Workforce Housing, a leading agency working to solve the housing problems in Dade, Broward and Palm Beach counties. He earned both his Bachelor of Arts and Juris doctorate degrees from Syracuse University.